Order your 2018-2019 school supplies through us! No lines, no hassles! 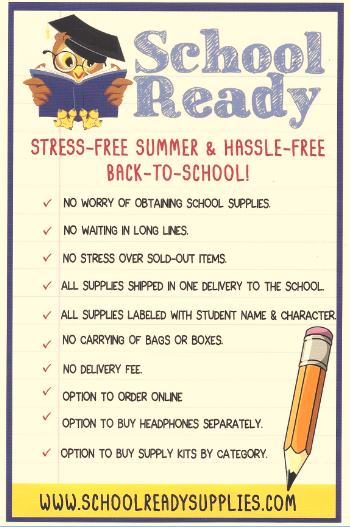 All materials will be labeled and shipped to your child’s classroom before school begins August 20th. Need uniforms?? Place your uniform orders through our PTA.